A great evening with lots of laughs. I enjoyed the way the players inter acted with the children. "Great to see this iconic team"
It was great to see the Harlem Globetrotters, we went as our 11 year old son is a keen basketball player and we thought he'd enjoy the slapstick humour a well as the great basketball skills. We weren't disappointed, it was great fun, although we'd advise anyone who is thinking of going to see them to look them up on YouTube or similar first as the format is more fun oriented, not a serious basketball match - although some of the skills possessed by the players are amazing and a step up from what you can see generally in the UK. A group of us went, varying ages, and we all loved it. Such good fun and very high energy I would recommend this to anyone. The players shaking my son's hand made his day. Really lovely, The lot of them. We had a fantastic evening, the crowd interaction was funny and entertaining as was the rest of the evening. The mascots held there own and weren't out done at all. A great evening for all generations young and old would really recommend you go and watch these guys and girls if you ever get the chance.........FANTASTIC. 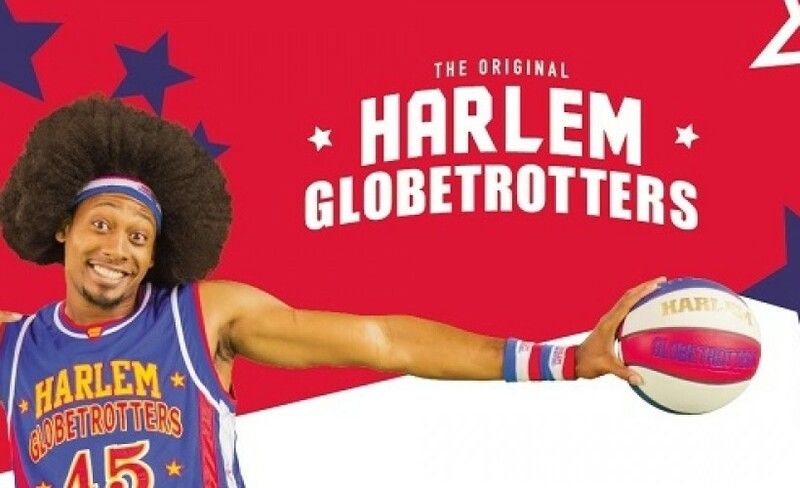 Combining exceptional athleticism with sheer sport theatre, The Original Harlem Globetrotters have continued to delight audiences the world over for nearly one hundred years. The incredible skills on show with thrill all who attend the spectacular show with amazing trick shots and incredible ball handing talents whilst also performing a dramatic comedy show with plenty of audience interaction. The family friendly show has become a favourite of fans the world over, having played over 26,000 in 122 countries for ecstatic punters of all ages. And after the show is over, the stars are more than happy to mingle with the crowd signing autographs and joining in on your selfies. First started in Chicago, Illinois, during the Roaring Twenties, the team mostly featured players from the Wendell Phillips High School and began touring all over USA exhibiting their unrivalled basketball abilities. They would soon bring their show to an international audience and were welcomed to play at Moscow and helped east East - West tensions at a time when Russia was locked behind the Iron Curtain. They have continued to astound audiences over the decades and enjoy worldwide adoration. Be sure to book early for this amazing special event as it is expected to sell out quickly. For a fantastic experience, always get your special event tickets through Gigantic.